In American politics, at least since the Civil War, the great philosophical divide is between "progressives" and "founders" of the American regime. The quarrel has come to be defined in the media as a contest between liberals and conservatives. 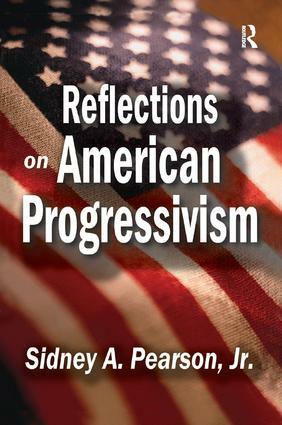 This book explores the ideological underpinnings of American progressivism. In doing so, it examines the foundations of modern liberalism and conservatism. The fundamental problem of any science of politics is to explain, however imperfectly, the sources of justice and injustice in politics: What are the "self-evident truths" that inform and drive the public debates? Over time the foundational arguments for justice and injustice, what people regard as self-evident truths, do change. This process of change is at the heart of progressivism. The original arguments of the progressive movement are obscured or largely forgotten in contemporary political debates. But in a myriad of ways, the original progressive arguments continue to reverberate. They need to be more fully explored and understood in order to seriously engage the differences between liberals and conservatives. Such differences are not likely to be overcome simply by a study of the roots of progressivism, but it is a first step in a more rational debate, which this book will inspire.